I had an assignment to rectify the Oracle data replication implementation between multiple Oracle databases connected over a wide area network. The replication was throwing a large number of errors and I needed an efficient tool to monitor the replication process. The standard tool provided by Oracle had certain limitations so I decided to quickly write something which could fill in the gaps. That’s how I got into writing RepMonitor which I am sharing here. 1- Search and filter transaction errors by date and other criterias. 2- Load data on-demand only to provide better performance. 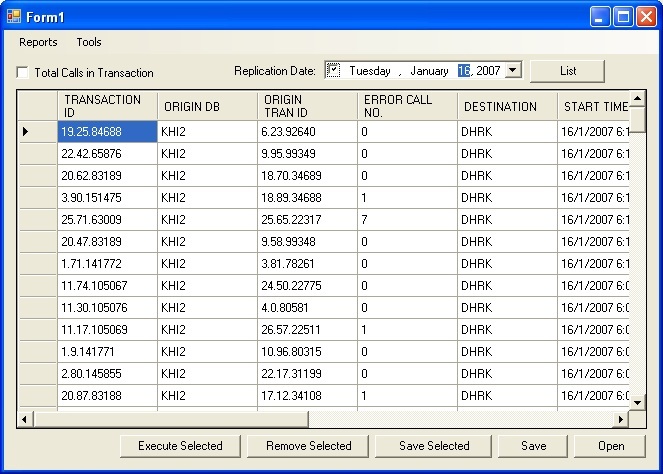 2- Generate transaction error reports. 3- Save/Serialize selected transactions and all related info in xml format. Just to briefly elaborate on point # 2 i.e. loading data on-demand. Oracle Enterprise Manager loads all the transaction error data at start up so if you have a large number of errors, it would take ages to load. Similarly any refresh reloads everything. RepMonitor overcomes these problems by loading data on-demand. If you want to know more about Oracle Advanced Replication, go to Oracle.com. Here is an introductory whitepaper from Oracle. 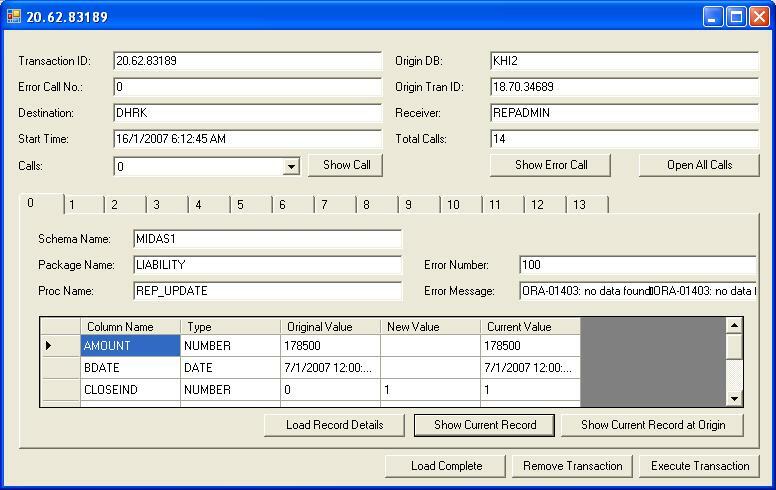 RepMonitor is developed using Visual Studio 2005 and programming language is C#.Net. The source code can be downloaded from here.